Step right up boys and girls…The circus is in town! This class will be inspired by the things that make a circus great: Games, clowns and cotton candy. This class will emphasize creating patterns and combining them with bold colors and pop-up elements to create stunning completed works. What happens when you mix polka dots, stripes, and stars? Let’s find out what happens when you let your imagination take a ride on the flying trapeze! Let’s travel together around the world to witness some of the most remarkable natural wonders humankind has ever laid eyes on. From the Great Barrier Reef, Aurora Borealis, Mount Everest, and then the Grand Canyon; students will be amazed by the beauty and wonder of mother nature. We will then use a variety of media to craft our masterpieces that will serve as keepsakes of this special week! 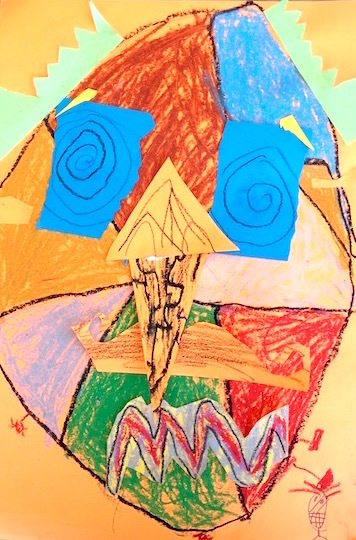 Students will explore the creative process by using nontraditional materials and tools to create their completed masterpieces. Participants will challenge traditional notions of drawing by using unconventional methods, lemon juice and heat, charcoal powder, coffee, charcoal resist… and more! 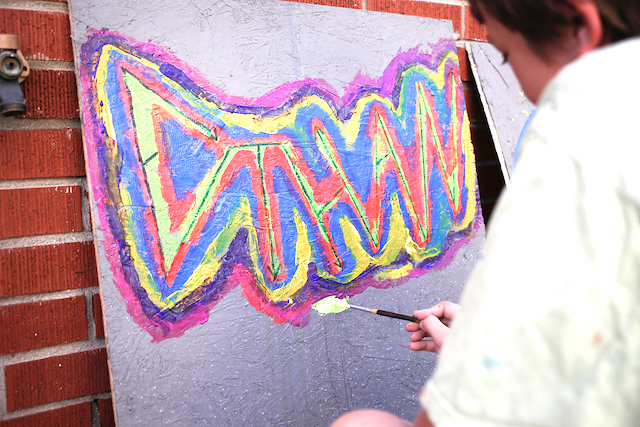 The instructor will draw inspiration from artists who think outside the box. 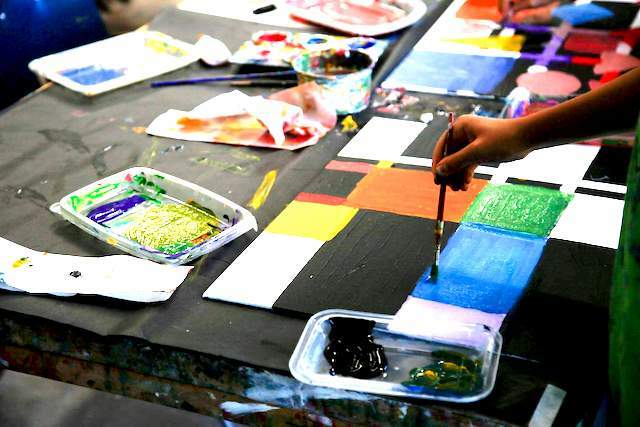 Students will learn about color theory, composition, and elements of design. Sure, we all love Van Gogh and Matisse, but there are countless contemporary artists that are lighting up the art world such as Tschabalala Self, Pia Camil, Torey Thornton and others! In this class, students will create beautiful masterpieces inspired by different living contemporary artists of THEIR time! That’s right, artists from the past 3-5 years that explore color theory, printing, and collage techniques. This week, artists will choose their favorite spotted, striped, scaled and speckled animal as inspiration for the creative process. Students will use a variety of materials, and play with patterns and silhouettes to create visually interesting, modern compositions. Students will learn an advanced drawing skill called a grid technique. After learning this grid method, artists can enlarge any image by themselves and draw on a larger scale! 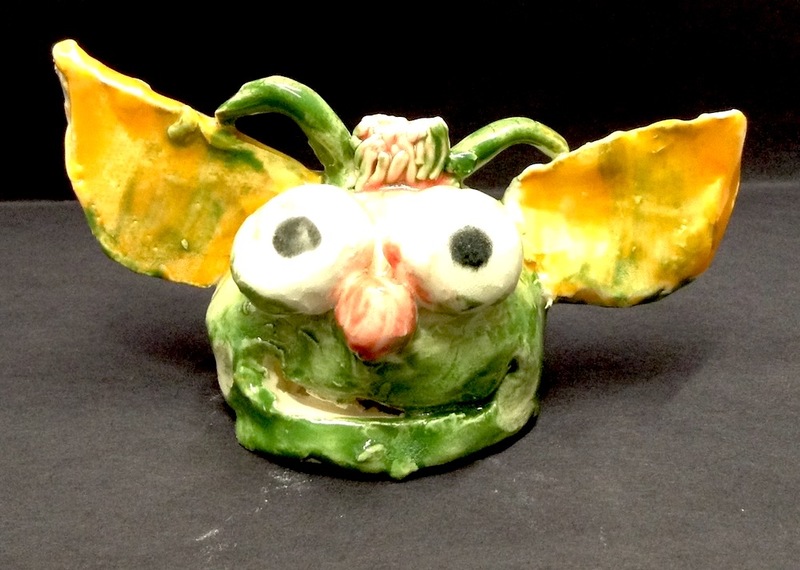 Combining fantasy and art, students will create a 3D monster from their imaginary closets! 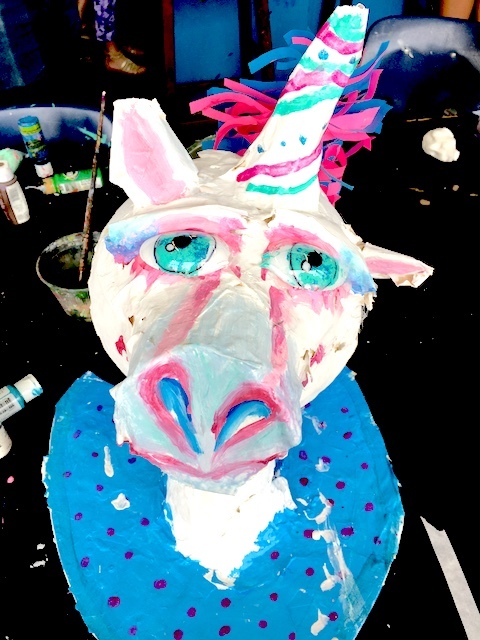 From inception to completion students will sketch, build and paint colorful paper mache monsters inspired by a multitude of books, illustrations, and movies. Each monster will be complete with a name and home to live in! The elephant has been a popular subject matter from stone-age carvings to modern age street art. Students will journey across cultures to learn about the different meanings behind this amazing creature. 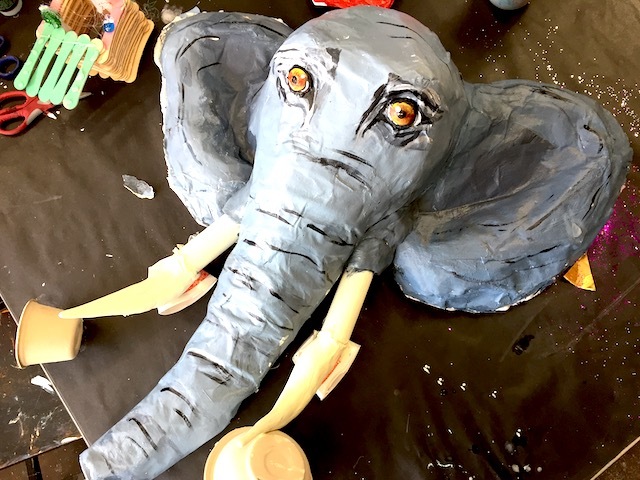 Artists will design and build an elephant head sculpture and create the meaning and symbolic images that resonate with them pulling inspiration from around the world. Your displayed elephant head is sure to bring your home honor, protection, luck, stability or whatever symbolic qualities it possesses! Welcome aboard the art making train! There are so many ways to get around by air, land, and sea. Artists will explore various forms of transportation such as cars, buses, trains, airplanes…even submarines! 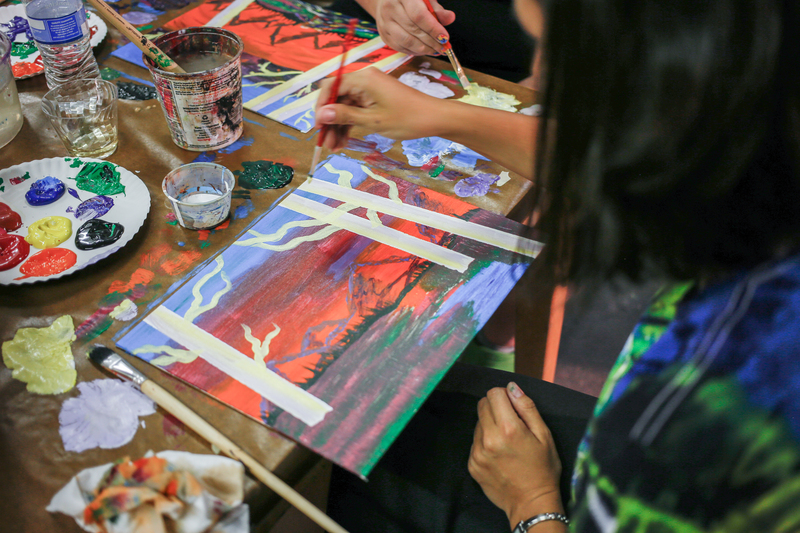 Students will explore painting, drawing, and 3-D construction to increase fine and gross motor skills. We can even create our own locomotives from our vast imagination. Don’t forget to bring your GPS as you travel in your new personal-sized cardboard vehicle! 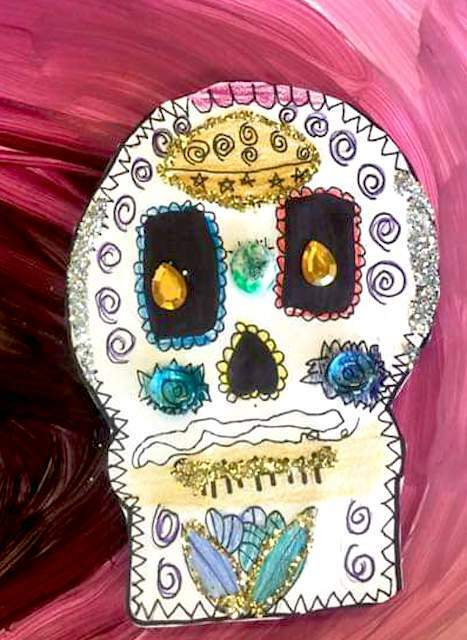 Students will explore the holiday Dias de Muertos (Day of the Dead) by creating their own skeleton figurine of a passed ancestor or their own unique form. The holiday celebrates family, tradition and symbolic spiritual journey. 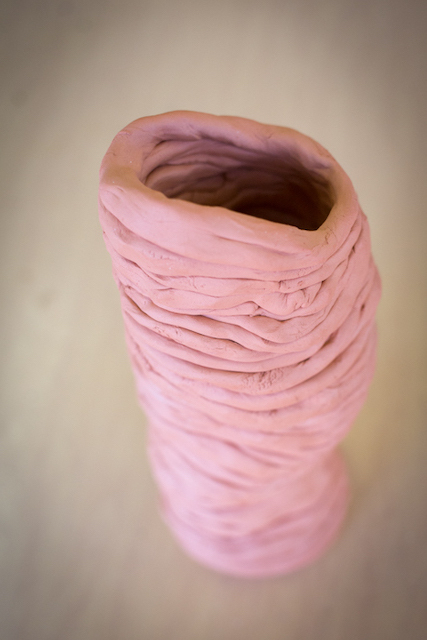 Students will use sculpture, drawing and miscellaneous found objects to create a dynamic piece of art. Students will explore famous art and artists that used inspiration from this vivacious and historic holiday such as José Guadalupe Posada, Alfonso Castillo, and Denver’s very own Botanic Garden sculptures. 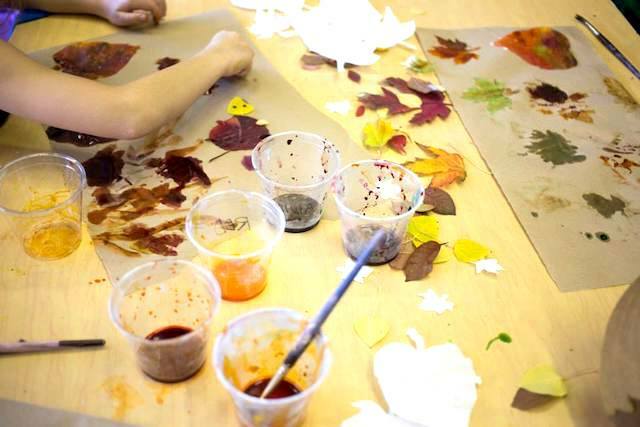 We will use items found naturally in our world in this unconventional art class! We will make our own stick looms, create plant prints, and affirmation painted rocks to leave in our communities in order to spread positive messages. Branches will be our paintbrushes and sticks will be our knitting needles as we explore the resources that are available to us in our own backyard! Come and experience the magic of Harry Potter’s Hogwarts. Inspired by the beloved books from author J.K. Rowling, students will explore a variety of materials and create magical pieces. 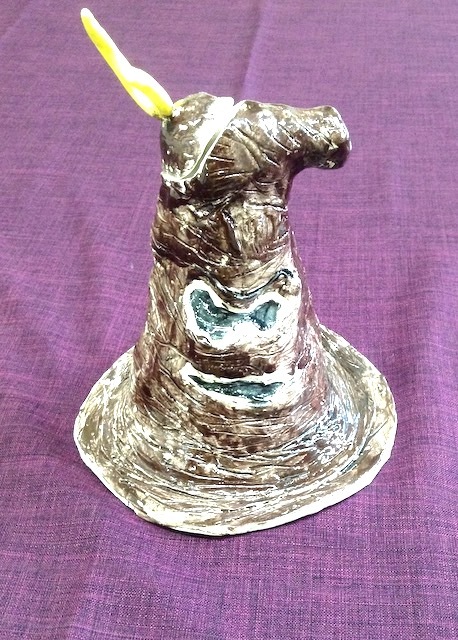 Design your own magic wands, sorting hats and more! Make sure to learn your spell books forwards and back! Childhood classics such as The Giving Tree, Are You My Mother?, Mouse Paint, Harold and the Purple Crayon - to name a few! 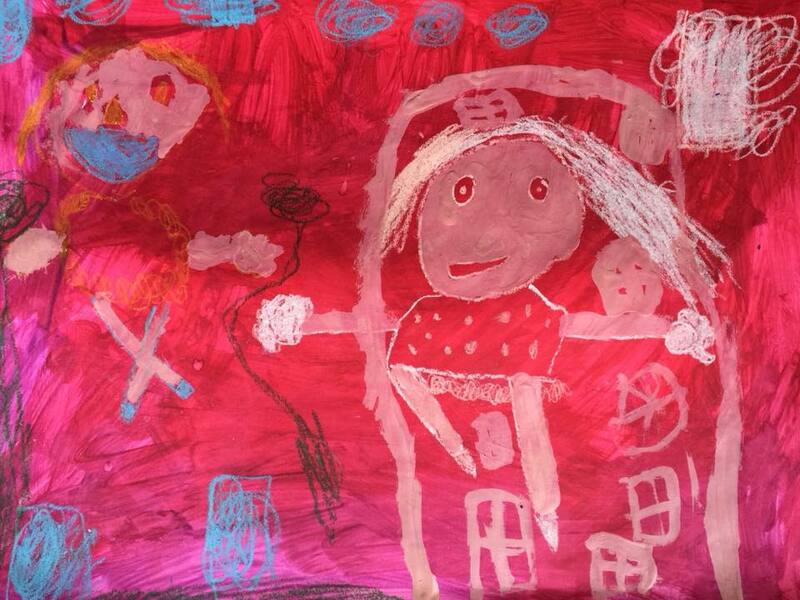 - will serve as the inspiration for your child’s artwork this week. 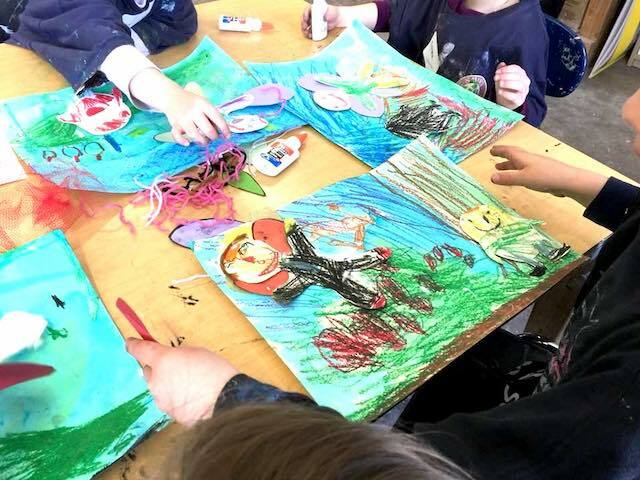 Each day we will explore important themes from the stories we read before using a variety of art media to create meaningful pieces to take home and cherish. Each day will be exciting and different as we bring these treasured classics to life! We’ll travel the globe to discover new artists and exciting lands, but first we need to know how to greet one another and what art vocabulary to use, too! Each day a different influential artist, their culture, and particular language will inspire the pieces created. We’ll go to Spain to meet Joan Miro, then off to Japan to paint with Katsushika Hokusai, and on to Russia to listen to music with Kandinsky! Your young artists will feel like they traveled the world by the time this week is through. 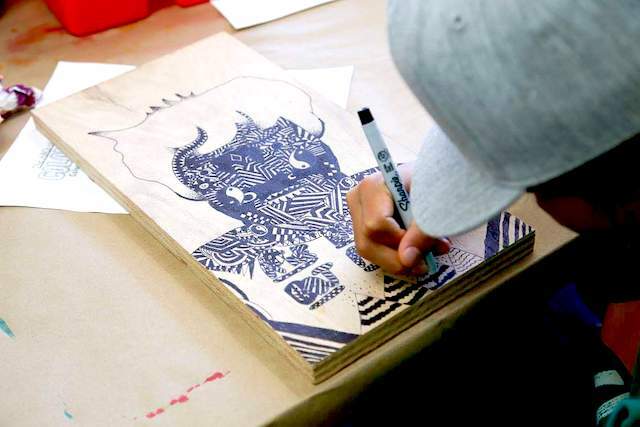 This week artist will explore working with pen and ink with watercolor on wood! Explore the beauty of pen and ink through zentangle warm-ups and sketches. 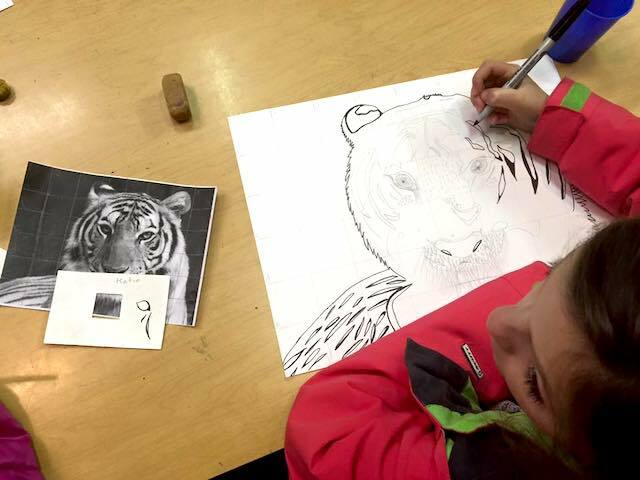 Students will learn different kinds of mark making, such as cross-hatching and stippling, to shade and embellish their work. Develop your final drawing to put onto wood as you brighten it with watercolor and your zentangle designs. 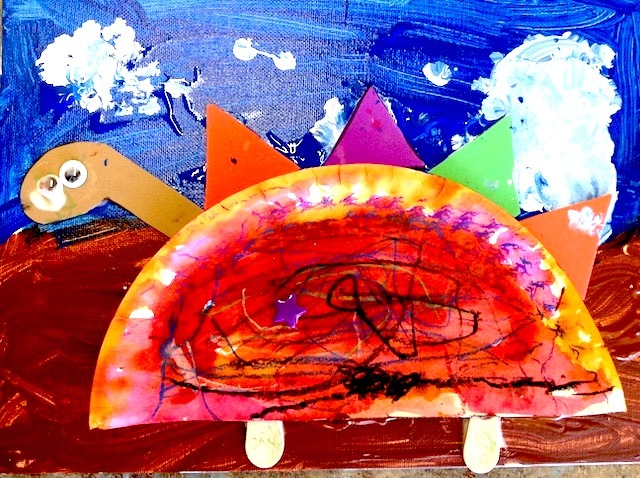 Join us for waves of FUN at The Art Garage this week! Artists will venture to the depths of the ocean and make new sea creature friends with Octopus, Jellyfish, Sea Turtles, Fish and Sharks. 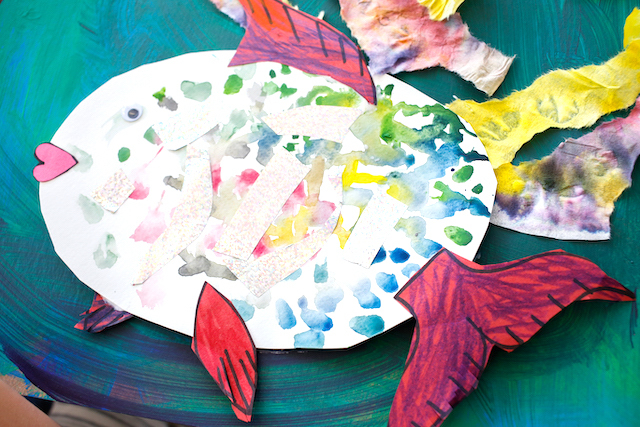 Artists will enjoy learning facts about these magnificent sea animals, all while learning the elements of art, developing new artistic skills, and exploring mixed media materials. Projects will include a stacked sea turtle mosaic, a monoprint fish, and octopus sculpture! Join us in this fun paper sculpture class. 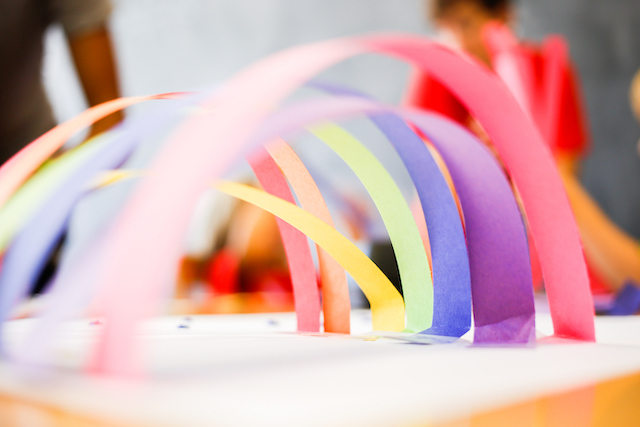 Fold, crimp, curl, and create with paper! Each day students will get to take home their crazy creations and there will even be a paper sculpture challenge! Students will learn about the art of quilling, 3 dimensional works of art, and experiment with how to turn something from a simple sheet of paper into an exciting new sculpture! This week will be a picture of geometric, graphic, and abstract! Students will manifest their mid-mod spirit into “frame-worthy” art defined by this Modernist era. In the Bauhaus tradition of art and design we’ll create calculated sunbursts, Bitossi studio inspired “hand dishes,” colorful geometric designs on canvas, and wooden sculptures as we explore all things mid-century! Ever wonder how to create a Bar-ba-loot in his bar-ba-loot suit? Or a Scraggle-Footed Mulligatawny? Then this week is for you! Dr. Seuss was not just an author and illustrator, he was a sculptor too! To get the best understanding of what his characters would look like, he would build them in 3-D form to study every angle. Join us as we look to the beloved artist author Dr. Seuss and his menagerie of strange and unusual creatures for inspiration. After creating a 2D sketch of what your Seussian creature will look like, you will then use wood, wire, and paper mache to craft your 3D Seuss sculptures! This hands-on tinker-filled class will combine art and science, to encourage curiosity, exploration, and creative problem solving. 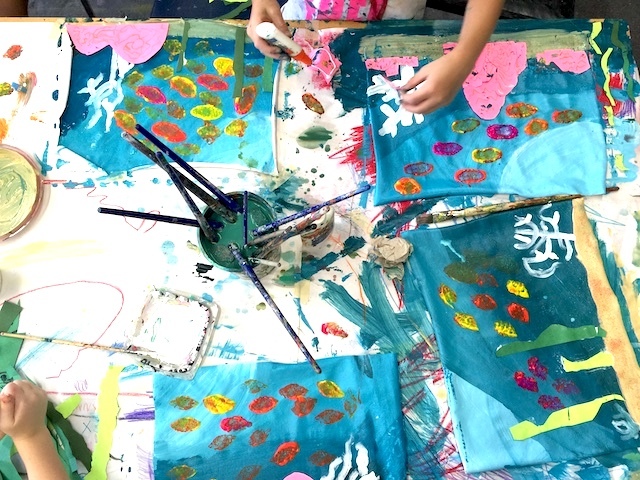 Artists will use experiential art methods, like watercolor resists, and use non-traditional art materials, like fruit stamping and sticks as paint brushes, to create process based artworks that will build confidence and encourage individuality! 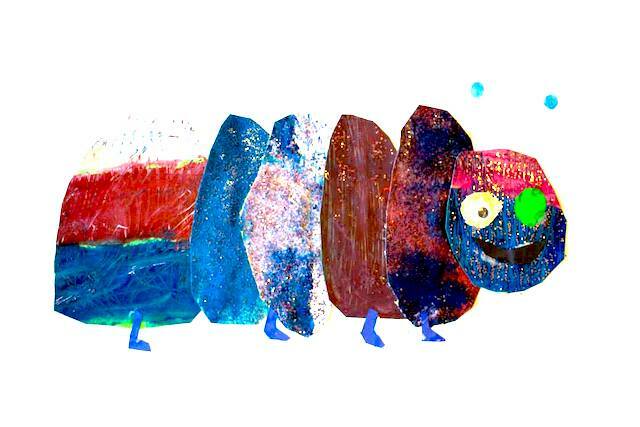 In this week long class we will look at the art of Eric Carle and his fantastic illustrations… Paying special attention to The Mixed Up Chameleon and all of his friends, of course! 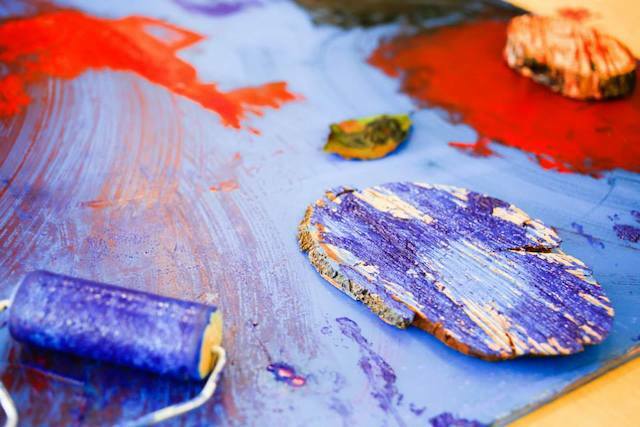 Students will explore a variety of different painting and printmaking techniques in order to create a bevy of interesting textures. They will then take these papers and rip and cut them up in order to create new, collaged animals and their environments! In this glass etching workshop, students will learn about the power of positive and negative space as well as organic versus geometric shapes. We will apply hands-on science and safely play with corrosive materials to learn the art of etching! If they wish, students can bring their own smooth glassware to use, or take advantage of a variety of other glass surfaces supplied by The Art Garage. This exciting new class will be sure to intrigue all artists! 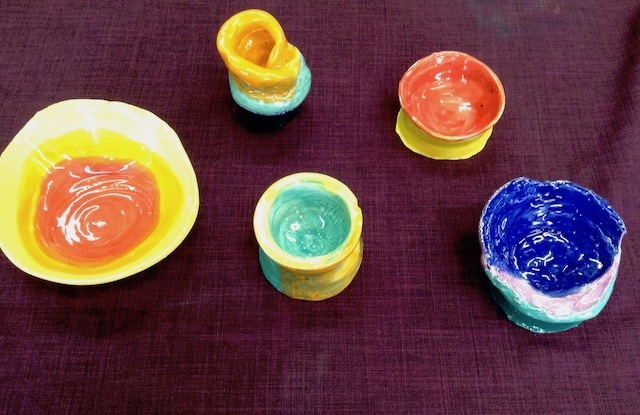 In this functional hand-built ceramics class we will use coils to build vases, bowls and pots. We will start by cutting out templates that we hand design ourselves. Our templates will include the shapes of our functional ceramics and will help us with uniformity as we build. Students will learn the proper way to make coils, how to attach them correctly, and then how to smooth them into one cohesive piece. Texture and glaze techniques will be included as well. What will you make? A flower vase? A cereal bowl? A hot chocolate mug? Get ready to create ceramic pieces you will use for many years to come! Painting on canvas is fun, but how else can we create landscape, portrait, or abstract paintings? Let’s rummage through our ‘junk art’ supplies and explore fun and creative materials to paint onto! This week in class, students will learn painting techniques while pushing the limits of their creativity and critical thinking skills. Let’s think outside the frame to create some truly one-of-a-kind 2D and 3D paintings! Let’s explore the world as the dinosaurs knew it! We will paint our dino friends with sparkles, polka dots and stripes in this prehistoric inspired class, having fun while learning some interesting facts about these creatures who roamed long ago. We will also use sensory tables in order to act like archaeologists and dig up bones… only to then use them in our artwork, of course! This unique class will examine our feelings and social development by merging storytelling, peer interaction and - of course - art! 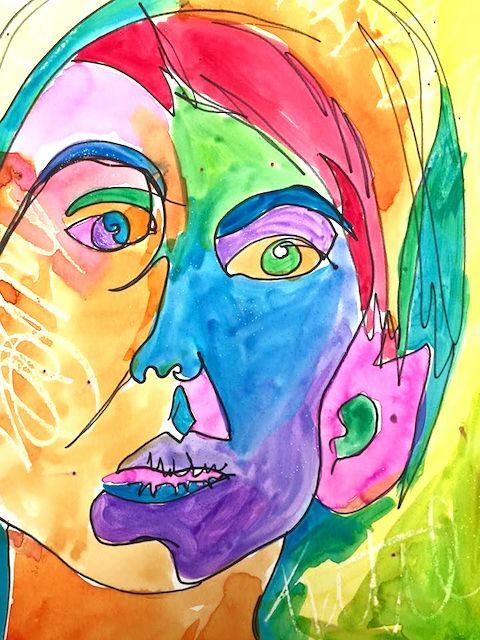 Students will explore how different colors and materials can make them feel different emotions, and will investigate how they feel before and after making art. Each day artists will create one process and one product based project inspired by stories with themes such as empathy, good manners, and the keys to being an overall healthy and happy individual! Some stories include Do Unto Otters, Rude Cakes, and Please Mr. Panda. Projects will use acrylics, pastels, watercolors, markers, and more! 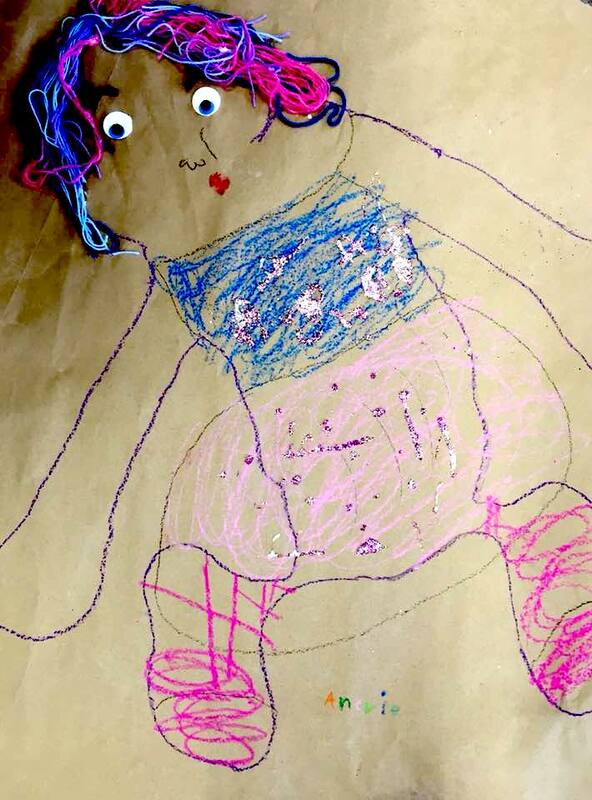 Come play the art game Exquisite Corpse, originally a drawing game created by Surrealist artists in the early 1900s collecting contrasting images to put together in one collective piece of art! This week students will be taking this to the next level and making their chosen collective images in 3-D form of ceramics. Students will work on drawings and ceramics both independently and collaboratively. Have you always wanted to make a Dorse, Tornadosaur, Caterpillow or a Catoose? Now’s your chance!